Pictured is a scene during a Kids Connect event in January at the New Haven Library which each of the three county libraries participated in. 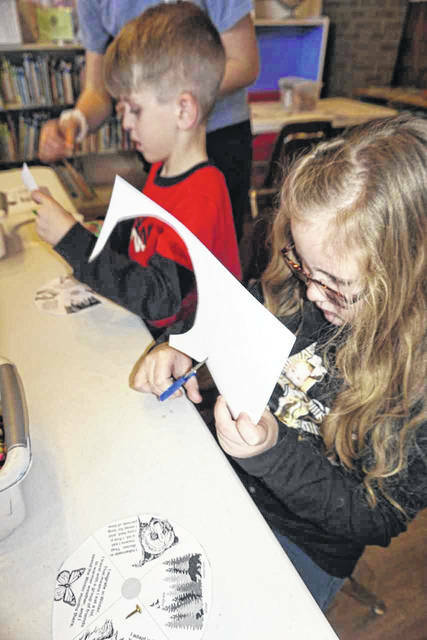 During a Kids Connect event at the New Haven Library in January, children colored and crafted their own winter spinner wheels to take home and remember the ways animals in the wild handle harsh winter conditions. 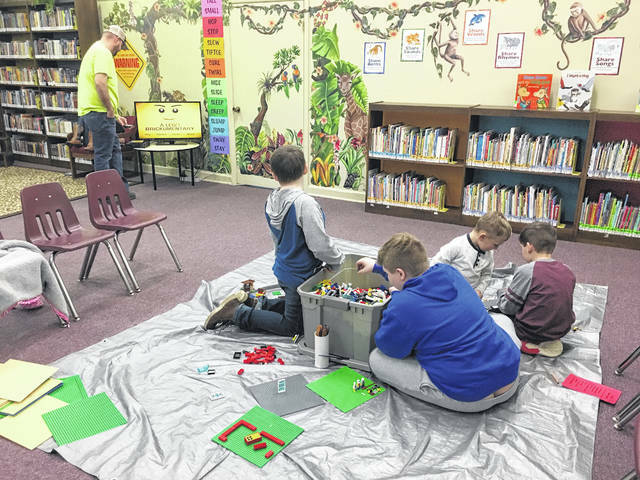 Pictured is a scene from a Lego-inspired Kids Connect event at the Mason County Library in Point Pleasant. MASON COUNTY — This week is the time to shine a special spotlight on libraries and library staff nationwide. Members of the West Virginia Library Commission (WVLC) want to join libraries, college campuses, and communities across the state and nationwide in celebrating libraries, librarians, and library workers during “National Library Week” which is held each year from April 7 – 13. Mason County Library Director Pam Thompson shared the Mason County Library System will be having a special “Fine Free Week” this week and each of the three libraries in Mason, New Haven, and Point Pleasant will have new featured books out and fresh displays have been made for springtime. First celebrated in 1958, National Library Week is sponsored by the American Library Association (ALA) and observed in libraries of all types including school, public, academic, and special each April. 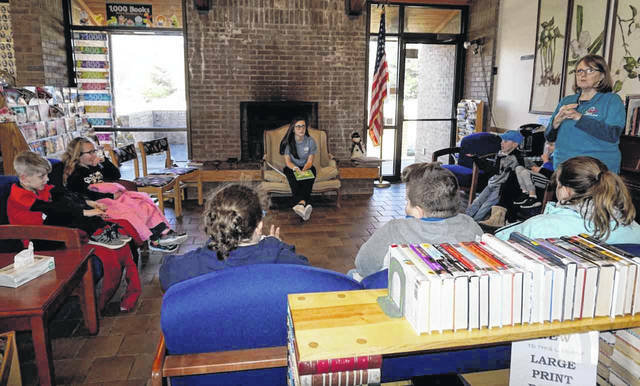 In West Virginia, libraries provide important community programs, including summer reading for young students, book discussion groups, assistance in job searches and resume writing, and volunteer tax assistance during tax season. The WVLC does its part with a number of innovative programs, such as “Letters About Literature,” the annual reading and writing competition for students in grades fourth through 12th; “SELF-e for Authors,” a program that supports local writers by making their eBooks available to more readers; and the “Talking Book Program,” which provides access to books for West Virginians who cannot see or handle printed materials. National Library Week events include: For all of April, School Library Month; Tuesday, April 9, National Library Workers Day; Wednesday, April 10, National Bookmobile Day; Thursday, April 11, Take Action for Libraries Day; Thursday, April 11, Let’s Read West Virginia Day which is a day to read a good book or read aloud to someone else. In a world of rapid technological and cultural change, libraries and library workers are resources for both individuals and the community. Librarians are trained experts who help library users explore the information jungle to discover what they are seeking, whether they are verifying news sources, investigating healthcare options, or searching for sources of student financial aid.